With Chrome browser you are likely to experience some of the best features that have never experienced before. If you often browse YouTube videos in Chrome, you may have the need to download YouTube videos for watching offline or download YouTube music videos to MP3 for listening on your mobile devices. But how to download YouTube to MP3 in Chrome? A reliable YouTube to MP3 Chrome extension, or extension for Firefox, or Safari could make it easier and safer to convert YouTube to MP3. Without installing any applications, you can download YouTube videos to specified format in high quality. If you have this demand, a YouTube MP3 extension for Chrome or other browsers will help you more. To save your time, we choose the best YouTube to MP3 extension for browsers like Chrome, Safari, Firefox, Opera, or Internet Explorer. 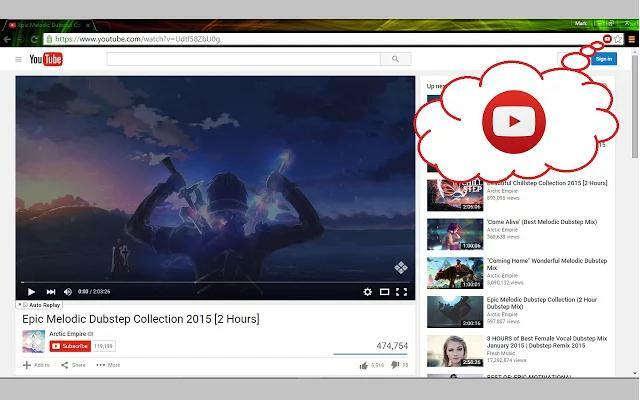 Best 18 YouTube to MP3 Extension for Chrome, Safari, Firefox, etc. The greatest YouTube to MP3 Chrome extension must be iTube Studio YouTube Downloader, with which you can download any YouTube video to MP3 high quality in a single click from Chrome, Safari or Firefox. This YouTube to MP3 extension downloader enables a "Download" extension on any YouTube video window, so you can simply click the button to download your favorite video. The YouTube to MP3 Chrome extension also supports to download videos from 10,000+ sites like Dailymotion, Facebook, Vimeo, etc. And you can get the video output to fit your iPhone, iPad, Android or other media player. 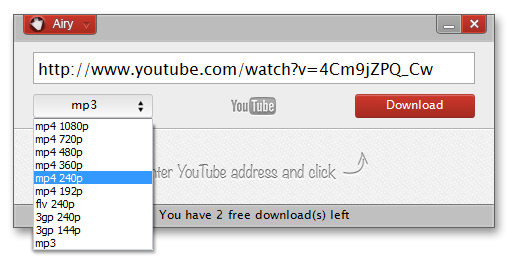 Download YouTube with extension chrome, safari, firefox, etc. or URL from 10,000+ video sites in one click. A "Download MP3" button to get any video in MP3 or directly download YouTube to MP3. 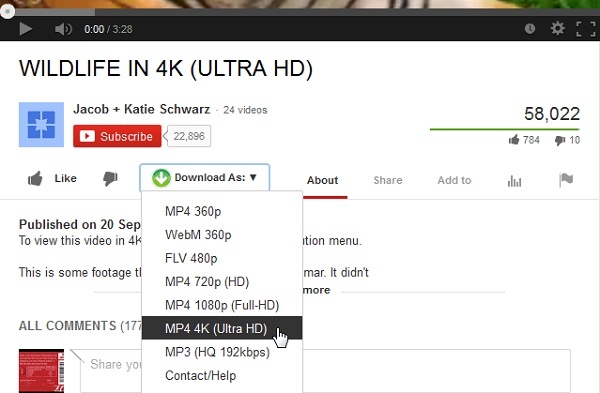 Download YouTube 4K videos or other HD, ultra HD format video without quality loss. Convert videos to any formats or to presets mode for popular mobile phones, tablets, game consoles, etc. Export downloaded media files to your iTunes library, or directly TRANSFER downloaded YouTube MP3 music to mobile devices. Offer a Private Mode to privately download secret videos with password protected. First of all download and install iTube Studio YouTube to MP3 chrome extension on your Mac or Windows PC. Once completed, run this YouTube to MP3 downloader to its main interface. Follow the instruction to install YouTube extension for Chrome, Firefox, IE and other browsers. For Mac computers, the downloader extension will be added to your browser automatically. For Windows users or if the Download button doesn't show on your browser page, follow this guide on install Downloader Extension Plugin on Chrome. 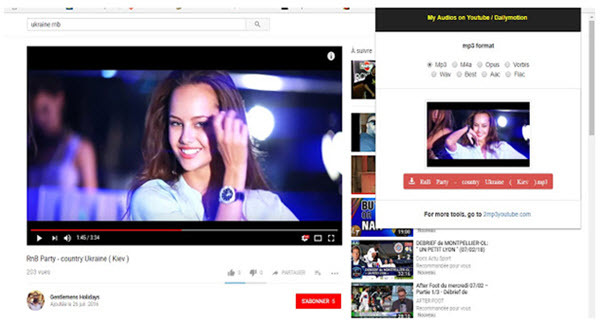 Open your YouTube video or YouTube music to be downloaded in any browser, you will see a Download button by side of the player window. Click to start the YouTube to MP3 download process. Another way is to copy the URL of the YouTube music and then click the "Paste URL" button of iTube Studio to start downloading MP3 from YouTube. YouTube MP3 can free download audio from YouTube into MP3 format. You can download this extension from Chrome Web Store and follow on screen instruction to install this YouTube MP3 extension on your Chrome browser. When finished, open the YouTube page with your favorite videos. And you will see a Play icon on the address bar. You can simply click the button to download the YouTube video. And you will get the output in MP3 format. 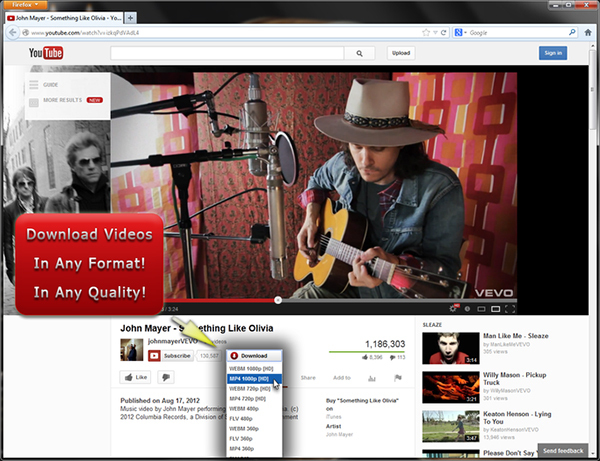 However, using YouTube MP3 Chrome add-on extension, you can only get low audio quality. And the button for downloading video only shown when you open the YouTube page. The big thing is that there is no clear instruction about this YouTube to MP3 extension. Video2MP3 is a good YouTube to MP3 addon for your browsers like Chrome, Safari and Firfox, as it allows you to quickly install a browser extension and download the videos straight from YouTube without too much hassle. Video2MP3 is very simple to install, you just need to get the appropriate extension for your browser, and then install it with ease. Using Video2MP3 YouTube to MP3 extension is very easy, as a Video2MP3 video download button will appear under all YouTube videos you visit, and you just have to click on that button if you want to perform such a conversion. All the conversions we performed were top notch and the conversion speed was very fast to say the least. Many people who have come across Video2MP3 might have question that is Video2MP3 safe and whether it will bring any video2mp3 virus. If you test the site online, you will get result saying that Video2mp3 is safe to use on your computer. However, if you are using Video2MP3, it will come with some Adware, spyware or viruses. Do not install Video2mp3 extension, unless you have a good antivirus program installed on your computer. And it will bring some pop-up windows with Ads or cheat contents, and sometimes cause browser bugs. Video2MP3 is a free YouTube to MP3 add-on allowing you to convert videos or music to MP3, MP4, FLV, 3GP, and other formats, so that you can enjoy the media files on different platform. It is legal to download or convert music with this site, but only for personal use and not to make money. FullRip can be recognized as Firefox or Google YouTube MP3 converter since it has different extensions for both Firefox and Chrome browsers. Right after installing the extensions you will be able to see a Get MP3 and Get Video button right under your YouTube videos. You can also rip audio or separate audio from any YouTube videos and download them to your computer for totally free. For YouTube to MP3 conversion you will need to click Get MP3, then make the desired ID3 changes in the next window that appears. Once all these steps are performed, you can press the Start Ripping button. The conversion step doesn’t take that long, usually a few seconds, and you can immediately download the newly created MP3 file once the conversion is complete. The ClipConverter browser add-on is very similar to the solutions presented above. 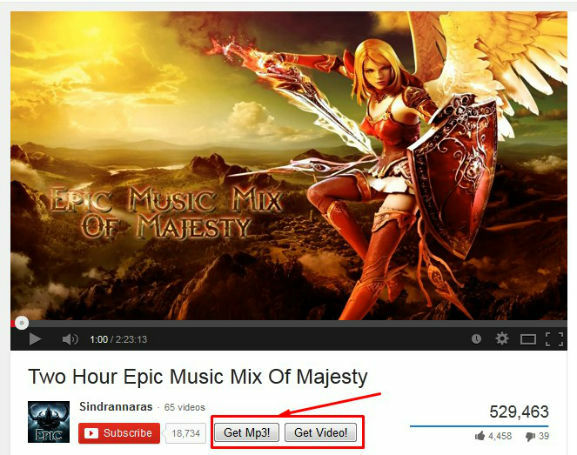 It provides a Download button on YouTube page so that you can directly convert YouTube to MP3. It supports browsers like Chrome, Firfox, Safari and Opera. You will have to download the necessary extension for your favorite browser. Once the installation is complete, you will be able to see that new buttons will appear right under your YouTube videos. There buttons are named ClipConverter, MP3, M4A and MP4, showcasing the different formats you can download and convert the file to. All you will have to do when using this extension is to press the desired format button and a new tab will be opened. In this tab you can choose the media URL to download. Here you can choose between standard quality and high definition. Be careful what option you choose, as these can really impact the download size. Once the quality is set, you will have to choose the conversion format and add multiple conversion options like the Automatic Mode, different ID3 tag modes etc. After setting all these options, you will just have to press the Start button. "Why I cannot get video information from YouTube?" Sometimes you will encounter this error when downloading or converting videos. If so, you can try again to reload the video. If it continuously fails, it might be caused by copyright restriction. "Why I get information saying 'waiting for conversion ticket'?" 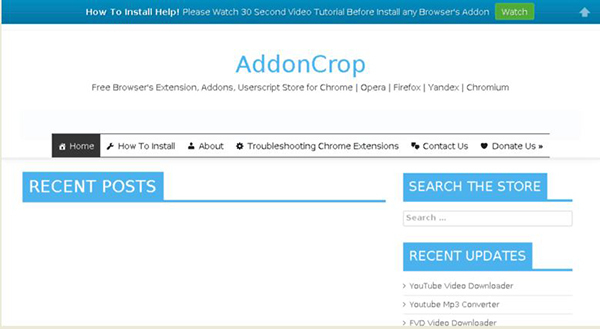 AddonCrop can be used to convert Youtube videos to MP3 with ease. With the AddonCrop the user does not have to leave the Youtube page in order to download Youtube videos to MP3. Unlike other services the whole process is performed on their platform. This requires you to download the MP3 from their servers. Precisely this software is doesn’t need any installation. You can freely use it with your Windows or Mac computers. 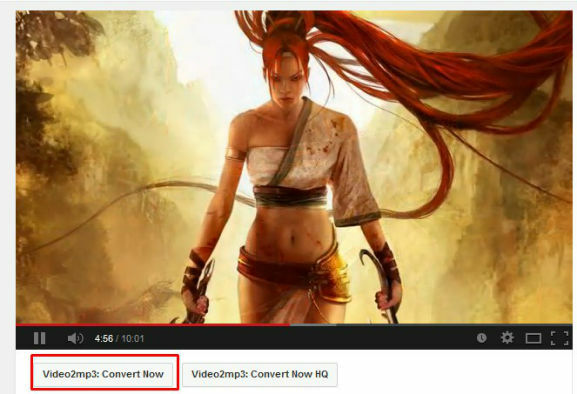 The conversion is just a click away and within 60 seconds your Youtube video will be downloaded and converted to MP3. Log in to YouTube, this YouTube to MP3 Converter will appear at the top right of your browser. After a few seconds, an MP3 Notification will pop up. This will notify you that the video is ready to download to mp3. Click on the download button. Immediately, the video to MP3 conversion starts. Note that this process will be done without you leaving the YouTube page. However, you may be required to refresh the chrome browser in order to convert your video file into MP3. YouTube-mp3.org is the best online platform for converting Youtube videos to MP3. Users don’t have to create an account. It has great add-ons that allow you to navigate easily to the Youtube to MP3 website where you can paste the Youtube URL that you need to download. 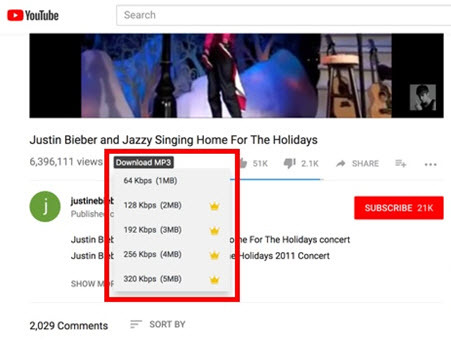 The whole Youtube to MP3 conversion is performed by their infrastructure. Because of this, you can use this extension with any operating system; be it a Mac or Windows OS. Their conversions are deliver a high quality MP3 file with a bit rate of approximately 128 KiloBit/s. This YouTube to MP3 extension work well to download YouTube video to an audio file with ease. 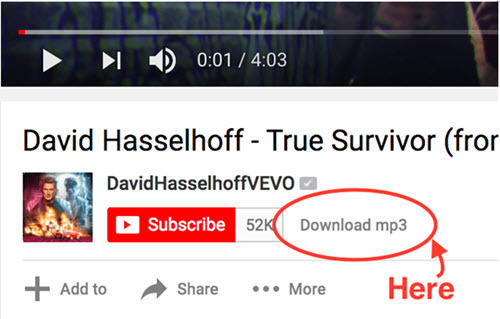 Users can use this extension to convert their favorite videos by following the following simple steps: First, they should click on the "YouTube to MP3" icon on the top right of the video and you will be redirected to their official site where you will paste the YouTube video URL to access this YouTube to MP3 service. The downside of this add-on is that it is a shortcut to turn to their website. This may force you to leave the Youtube page when downloading. The MP3 downloader is an easy to use Youtube to MP3 add-on. It works much the same way as other add-ons. 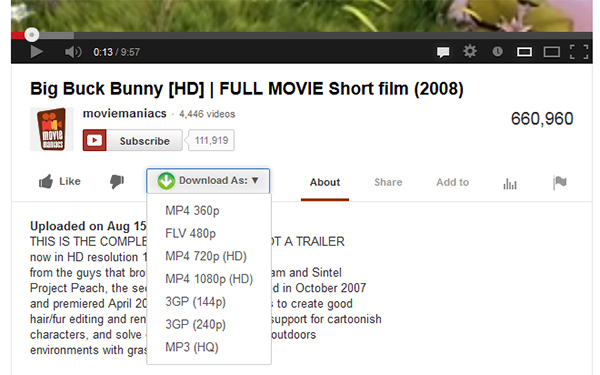 It simply adds a download icon while on YouTube that allows you to download your favorite video as an MP3 file. This MP3 Downloader add-on allows you to downloads mp3 music from Youtube for free. As soon as you log in to Youtube you will notice a download icon on the page, click on the icon. Immediately a pop-up showing MP3 files will display. Click on the songs you wish to download. In this add-on you can simply play or pause your MP3 files as you wish. This YouTube to MP3 Chrome add-on allows you to download YouTube videos to MP3 in a swift but simple way! It supports almost all YouTube formats from MP4, FLV, WebM to FLV and can download all video quality from low to high pixels. If you need a simple yet effective add-on to download YouTube videos, this plug-in will suffice. Overall, it is a great downloading tool. How does this add-on operate? This plugin simply adds a "Download" icon which immediately lists all videos available to download. Click on the videos you want to download, choose the desired output format and save the MP3 file to your hard drive. Plain and simple. Therefore, each time you are on Youtube you'll see the "Download" button with a red icon. That is what you will need to click inorder to start the process. Downloading YouTube videos using this chrome extension add-on is simple, you don’t have to fiddle with software's where you copy paste URL's. This add-on allows you to download videos directly from Youtube. It doesn’t need any software installed in your PC or visiting another website. A simple click on the download button and the download flows smoothly without exiting the Youtube page. The download button is well visible and is not jumbled in the interface. Unlike other add-ons that send you to their sites, this add-on enables you to download YouTube to MP3 in a single click. It is available for browsers on Mac , Windows, and Linux. 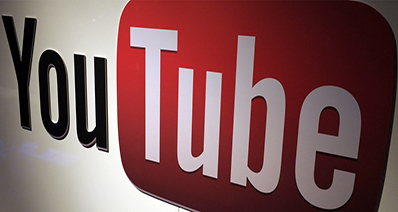 With this add-on, you don't have to leave the Youtube website. As you are surfing, you will see download button. You will be required to click on the button in order to commence the download process. Upon clicking, the add-on locates the download links from Youtube servers and downloads the MP3 audio at a super speed. This extension will allow you to choose any format that you may want to convert your video format to. It is very easy and straightforward to use. 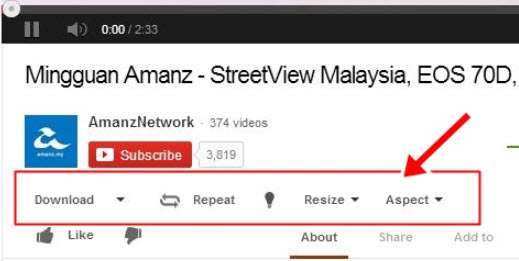 You just have to locate the download button on YouTube videos you visit, click on it and the add-on will do the rest. If you want to convert YouTube videos to MP3, then YouTube MP3 Converter is the best tool for the task. Using this chrome extension, you will be able to convert your favorite YouTube videos to MP3 format. This Chrome extension is very easy to use and install as you can download audio from the videos without directing to other pages. •	Download YouTube audio with just one click. •	Supports downloading MP3 in different quality. •	Fast conversion and download. •	Change the download directory. •	Experience technical glitches sometimes. •	You can’t download the MP3 cover. 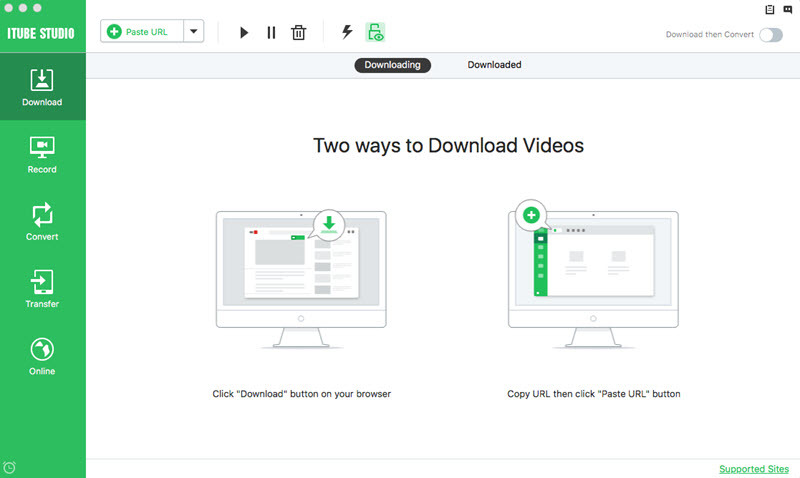 Easy YouTube video downloader is a Chrome extension which allows downloading of YouTube videos to MP3, MP4, FLV and 3GP format. It not only allows downloading the YouTube videos but also converts and downloads videos in MP3 format. •	Direct download without needing to copy-paste video URL. •	Supports various output formats. •	Elegant download button, easily distinguishable from the other links. •	Doesn’t allow changing MP3 bitrates. YTBmp3 is a YouTube to MP# downloader that you can use to directly download the MP3 from YouTube videos. It makes a Download MP3 button under the YouTube video which allows to directly download the video in MP3 format. •	One click converts and downloads YouTube Videos to MP3. •	Change the quality and bit rate of output MP3 file. •	Auto bit rate adjusting is also available. •	Isn’t available at Chrome web store. This YouTube to MP3 converter from 2mp3yt allows converting and downloading YouTube videos to MP3. With this chrome extension, it is very easy to convert YouTube videos to MP3, as well as other audio formats like AAC, WAV, and M4A. You can even convert Daily motion videos to MP3. •	Fully functional YouTube to MP3 converter. •	You can also convert files to other audio formats. •	It is available at Chrome web store. •	You have to pay $2 to buy it. Emailcollector.me has also provided a YouTube to MP3 converter for easy conversion of YouTube videos to MP3 format. 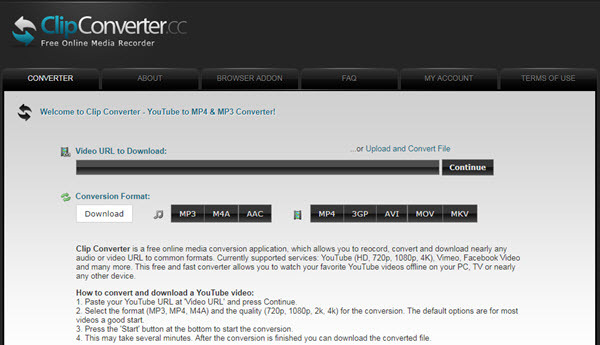 The biggest advantage of downloading this YouTube Mp3 converter is that it is available at official Chrome web store. You don’t have to visit third-party websites to download and install this chrome extension. •	You can change the audio quality. •	One-click download with a Download MP3 button. •	Available at Chrome web store. •	It can experience some bugs. •	This extension isn’t as user-friendly as some others extensions. FLVto is among the list of the oldest extensions to convert YouTube videos to MP3 audio files. It isn’t available at the chrome web store, so you need to enable developer mode on Chrome and then install it. After installation, it creates a Convert to MP3 button below the video. It offers a simple and fast interface to download YouTube videos to MP3. •	Simple to use and offers a fast download. •	Instantly download the MP3 tracks. Video MP3 Downloader as the name suggests is a video downloader that you can use to download YouTube video to MP3. Aside from downloading videos to MP3, it also supports converting videos to other video formats like MP4, AVI, MKV, MOV, and others. •	Supports one-click download and conversation of YouTube video. •	Download video as well as flash files. •	Sometimes it doesn’t work. •	Isn’t as effective as others extensions. It is a Google Chrome browser extension that allows downloading YouTube to MP3 easily. Though the extension is removed from the chrome store, you can download it from the developer page which you can find on GitHub. •	Offers many features for YouTube viewing. •	Compatible with latest Chrome browser. •	It offers great download speed. •	The installation process is complicated. •	It isn’t available at Chrome Store. •	You cannot alter track information. These are the main browser add-ons that provide you with a hassle free YouTube to MP3 downloading experience. As you can see, these browsers do a great job when it comes to simplifying the way you download and convert YouTube videos on your computer. In addition, you can also use them on just about any computer, as long as you have one of the supported browsers already installed. We had a great experience using each of these extensions, and we surely recommend them to anyone.